Today we’re launching FRONTLINE’s new site design. As you can see, it’s a big departure from our old site, so I thought I’d take a moment to give you a quick tour. Before that, though, a word of thanks to those of you in the FRONTLINE community that gave us feedback on the beta site. Because of your comments, emails, Facebook posts and tweets, we made some changes and fixed some things. In particular, we changed the red we were using for headline links to a calmer blue. Hope you like it and continue to send us your thoughts. We’re listening. With that, let me show you around. As some of you may know from having explored our beta site last week, the new design is focused on two things: clarity and continuity. When you come to the site, we want to make sure you know what’s important, what’s new and what’s next. We also want you to be able to easily navigate the depth and interconnectivity of FRONTLINE’s rich archive. 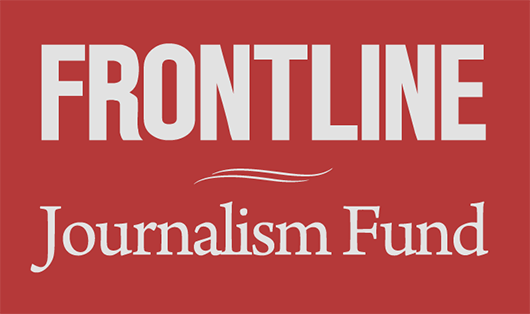 With this design, and with new journalism you’ll see in the coming weeks and months, we’re hoping to convince you to make FRONTLINE a part of your daily media diet. The new homepage design is all about clarity. On top, you’ll find our main story; below are three additional prioritized stories. Those four spaces may link to full programs, video clips or text stories. We’ll be updating these slots regularly so that, on any given day, you’ll always know what four things we think you’ll want to see. Below these four stories, you’ll find a constant stream of new material. This will include pre-broadcast scoops and insights from ongoing projects, important updates on past investigations, analysis from our staff and partners, and live chats or open threads for FRONTLINE community discussions. We’ve also preserved some of the more popular elements of our previous design. On the top right is the vital link to our full archive of programs — 114 and counting! The full list of recent programs is still there — it’s just moved down, to the left. And in the lower right, you’ll find all the options to stay in touch with us — email, RSS, Facebook, Twitter, etc. We’ve standardized the design of our program pages: The film is at the top of the page — now embedded in a bigger size and still easily made full screen — with additional related stories listed below. We’ll feature three related stories — usually scoops or important interviews from the film — below the film, and then the full list of stories. The new design enhances what you’ve seen us do over the past year with stories like Law and Disorder or The Anthrax Files: continue to report and publish great journalism before and after broadcast. At the bottom of the program site, we’ll also show you related programs we think will interest you. We’ve organized our reporting into easily navigable topic pages. For example, if you liked Kill-Capture, you can check out our Afghanistan/Pakistan topic page, a collection of our years of reporting on the troubled region. Over the next few weeks, we’ll be rolling out our new universal sidebar site-wide. That means, no matter what page of the site you’re on, you’ll always know what’s coming up next on FRONTLINE and you’ll see our featured stories of the day. Now that you know what we’re thinking, we want to hear your thoughts. Have a look around and leave us a comment below or email us at frontline at pbs dot org. Finally, thanks and congratulations to FRONTLINE designer Sam Bailey. This design has been in the works for a long time. It has gone through many drafts, and Sam has patiently and ably gathered feedback from people throughout FRONTLINE’s staff and across the PBS system. That, with so many cooks in the kitchen, this site is so elegant and effective is a tremendous accomplishment.